The Komline-Sanderson Kompress® Belt Filter is a broadly applicable product for dewatering municipal Biosolids and industrial sludges. What is a Belt Filter Press? A Belt Filter Press is a sludge dewatering device that applies mechanical pressure to a chemically conditioned slurry, which is sandwiched between two (2) tensioned belts, by passing those belts through a serpentine of decreasing diameter rolls. 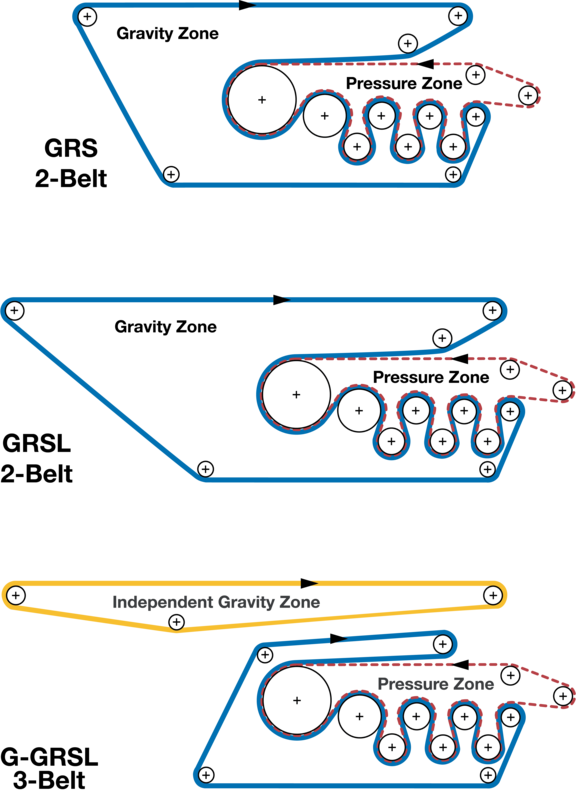 The machine can actually be divided into three (3) zones: the gravity zone, where free draining water is drained by gravity through a porous belt; the wedge zone, where the solids are prepared for pressure application; and the pressure zone, where medium, then high pressure is applied to the conditioned solids. Komline-Sanderson’s Kompress® Series III Belt Filter Press is available in a three-belt (Model G-GRSL), a two-belt (Model GRS) and an extended gravity two-belt (Model GRSL) design. The three-belt G-GRSL press has an independent gravity zone with a more open belt for more rapid drainage of the volume of water. The extended gravity design has a longer gravity drainage zone. Selection of the basic machine is a function of the type of sludge and feed solids. The gravity zone is available in a standard length, extended length, and independent zone designed for normal, poorly draining or dilute sludges. The Roto-Kone® high rate drainage technology developed for enhancing the performance (higher production rates at higher thickened sludge solids) of our gravity belt thickener also has its application in the gravity section of our belt press by creating more residence time in the gravity zone thereby providing for greater drainage capabilities and higher solids concentrations at discharge. Other belt presses having standard plow systems cannot achieve equal production capabilities. The independent gravity zone has the same capability as a stand-alone gravity belt thickener and, therefore, has application on a dilute sludge where the suspended solids are less than 1.5%. 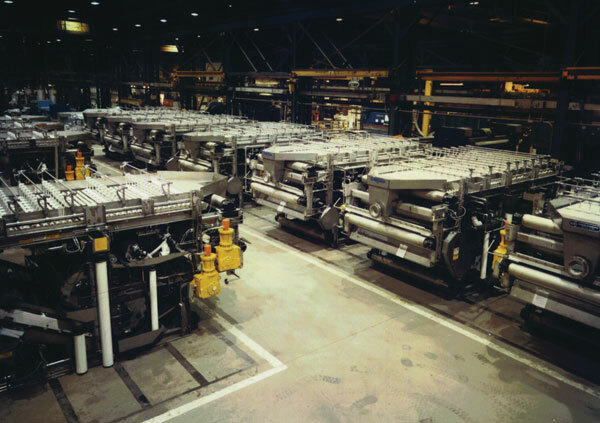 Furthermore, the complete Kompress may be designed as a combination thickening unit/dewatering unit. In the thickening mode, a doctor blade is engaged at the discharge roll to remove thickened solids from the gravity belt. In the dewatering mode, the doctor blade is retracted to allow the thickened sludge to enter the wedge zone. The adjustable wedge provides a gradually applied increasing pressure as the solids approach the first dewatering drum. Pressure is applied by the upper tensioned belt by moving the wedge zones entrance roller. This reduces or eliminates solids migration beyond the belt edges which can occur on conventional press designs. The pressure zone begins with a larger 30-inch diameter self-bailing, perforated dewatering drum designed to remove a high volume of filtrate and prevent “upset” conditions. 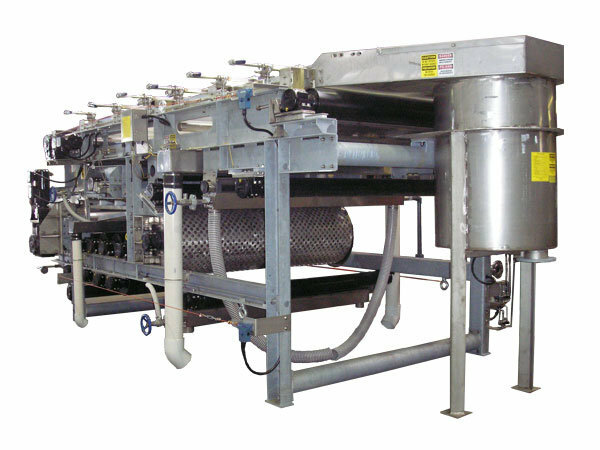 Because of its large diameter, large belt wrap, and perforated, self-bailing design, the initial drum extracts more water from the sludge at the inlet to the pressure/shear zone than does the conventional press and because of its internal baffle design prevents the rewetting of cake on the bottom half of the roll. The use of this larger first drum and a succession of decreasing diameter drums gradually increases the pressure profile to a maximum dewatering force. A pressure drum profile up to a maximum of 14 drums provides an extra long pressure/shear zone with more belt area in contact with the dewatering drums and thus provides more time under pressure for more thorough dewatering than other presses of its type. Finally, the extra long pressure/shear section provides more belt area in contact with dewatering drums and thus provides more time under pressure for more thorough dewatering than other presses of its type. High quality structural frame materials and components for trouble-free, long lasting operation. K-S process and project engineers provide assistance at all phases of the project. Depending on your specific requirements, K-S can provide you with a dryer, or a complete system. A successful plant depends on the integration of the key process units with properly selected ancillary equipment and the right facility design. Reliability, ease of operation, rugged construction, proven performance, and superior customer service are all trademarks of a K-S installation. A K-S Biosolids Drying System includes a feed storage bin or silo and metering pumps (or conveyors). Dry product is cooled prior to storage or transport. When desired the final dry granular product can be screened to remove fines. The off-gas volume is very low and at a low temperature. Odor treatment options include: direct injection into the aeration basin, bio-filters, scrubbers, absorbers, and thermal destruction. Safety features must be part of the system design. 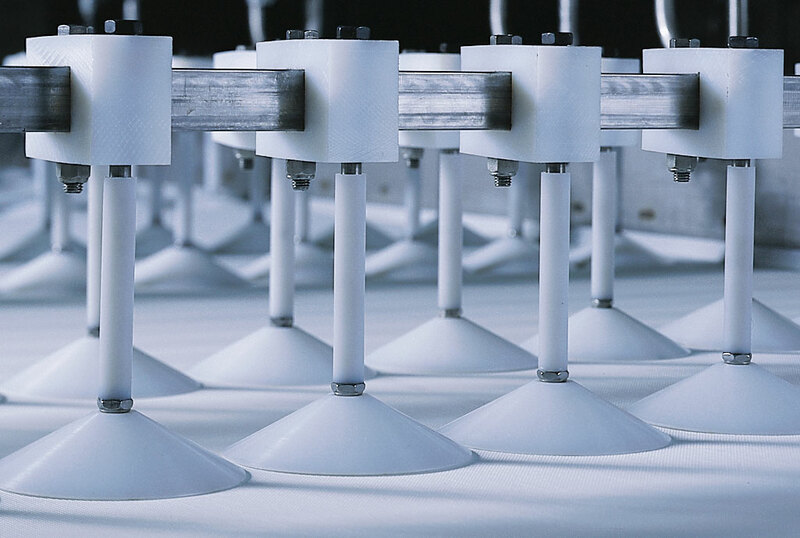 The indirectly heated K-S Paddle Dryer operates with an inert low temperature environment. Air is not used to convey a hot product in the dryer. Deflagration vent panels are incorporated into the dryers cover. These are ducted outside of the building. An automatic water deluge system is incorporated into the dryer to cool the biosolids in the event of a high temperature condition. Yes, we maintain a laboratory in Peapack, New Jersey, where 5-gallon representative samples of sludge may be sent to determine expected belt press performance. Do you supply a polymer feed system with the Kompress? 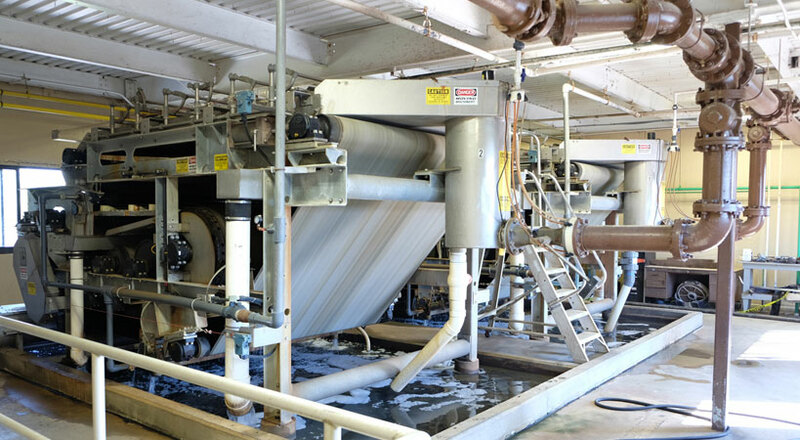 Yes, we can supply not only a polymer feed system but also discharge cake conveyors and sludge feed pumps to make a complete dewatering system. Do you provide extended warranties on the Kompress belt filter press? Yes, warranties up to five years can be provided on the frame, pressure rolls and bearings. Can the electrical control panel be designed for an Ethernet or Scada System? 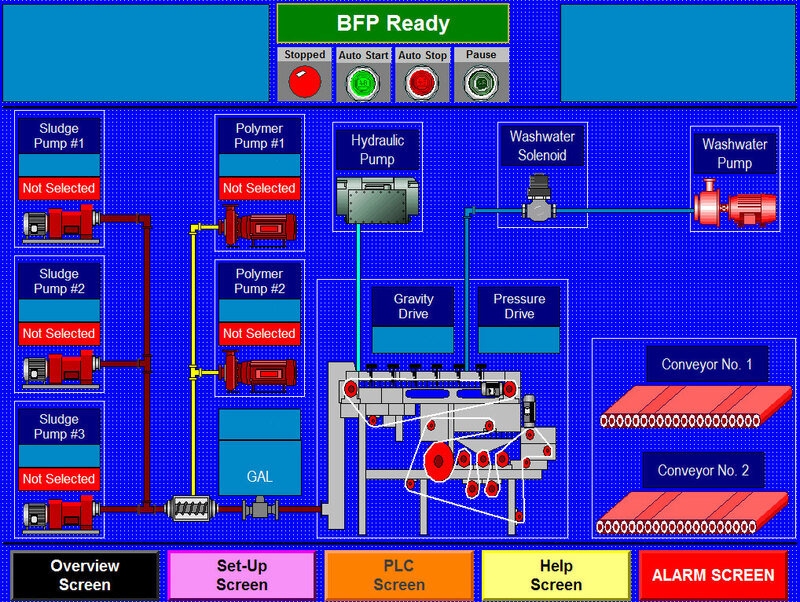 Yes, all of our electrical control panels are provided with a PLC. Higher level PLC’s are included when the belt press must be included in an Ethernet or Scada System. 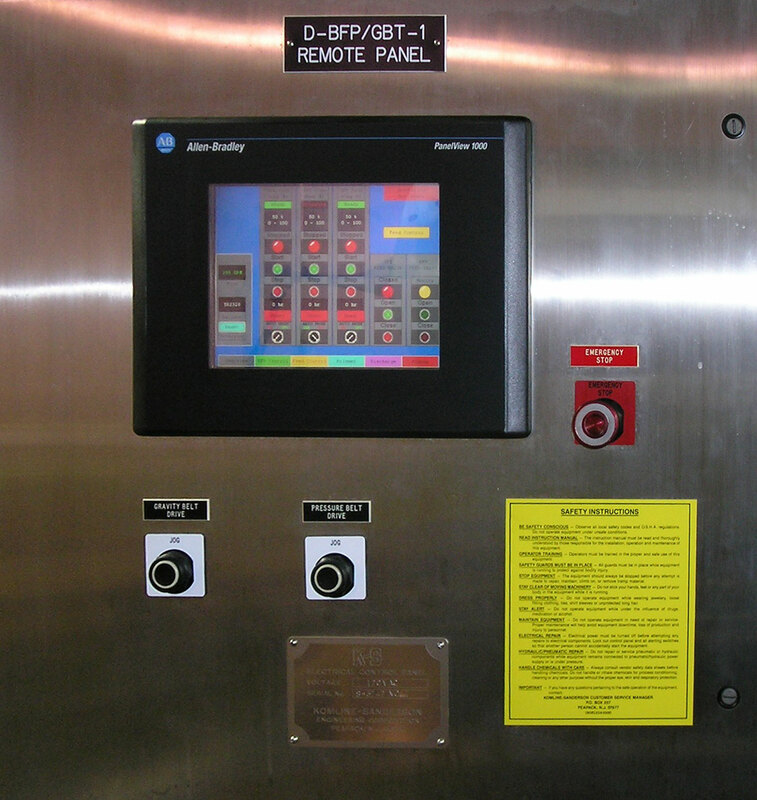 Operator interface terminals may also be included in the electrical control panel. Do you have recommended sizing and system design information? Yes, a complete design manual, with drawings, is available. 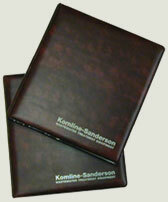 This video demonstrates the exceptional performance of the Komline-Sanderson RotoKone technology. This video is an overview of the Belt Filter Press. This video demonstrates the flexibility of the Komline-Sanderson 3 Belt Filter Press. Our Peapack, NJ facility has been granted ISO 9001:2015 certification by DQS, Inc.